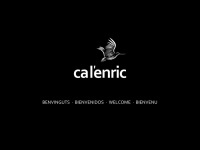 The web server with the IP-address 81.25.112.16 used by Calenric.net is run by sw hosting & communications technologies SL and is located in Spain. On this web server 18 other websites are hosted. The language of those websites is mostly spanish.